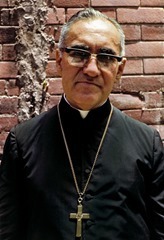 This week, we received with joy the news that the sainthood cause of Archbishop Oscar Romero is going to proceed, thanks to the Holy Father’s declaration that Archbishop Romero died as a martyr. I have followed Archbishop Romero’s cause of canonization very closely because he was someone I knew personally and admired very much. Working with many Salvadorans for over 20 years, I had contact with him on a number of occasions. 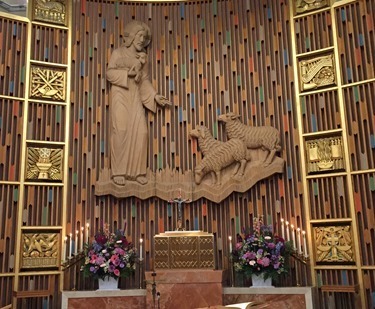 He was a man who was truly a prophet of the Church’s gospel and his death, like those of other martyrs, brought many graces to the Church in El Salvador. On Friday, I visited the Sisters of the Good Shepherd at their house in Marlborough. The sisters have been in the archdiocese for many decades but, for the last five, they have been located in Marlborough. I was there to celebrate the 50th anniversary of Cardinal Cushing establishing their house there. Their ministries include working with homeless women and unwed mothers, and they also have a community of contemplative sisters. Every couple of months I invite a different class of seminarians for dinner and a discussion. And so, that evening, I gathered with our Second Theology seminarians. I always look forward to the opportunity to be with the men, hear their opinions and get to know them better. 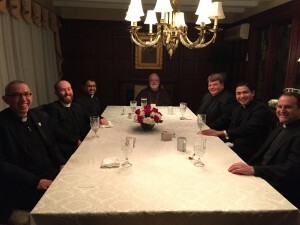 Over the weekend I had dinner with two groups of Boston priests. On Saturday, Msgr. George Carlson hosted us in West Roxbury and on Sunday we went St. Mary’s in Danvers for lunch and dinner and, of course, to watch the Super Bowl — that was a glorious game! 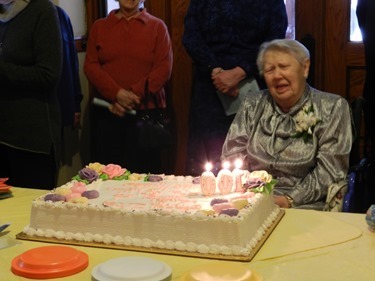 That day, I made sure to place a call to Sister Mercedes Moore, who was celebrating her 100th birthday and her 80th jubilee as a Benedictine sister. Sister Mercedes worked with me when I was bishop in the Virgin Islands around the time of Hurricane Hugo, and she is now in Chicago. 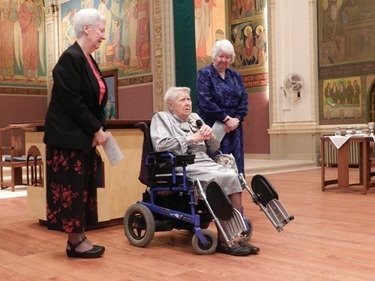 She is an extraordinary woman who has done outstanding work as a religious for 80 years. Her community has many more wonderful photos of her celebration on their Facebook page and a couple of nice entries about it on their blog. One entry I thought was especially touching was a letter written to Sister Mercedes by her mother as she was about to profess her final vows. 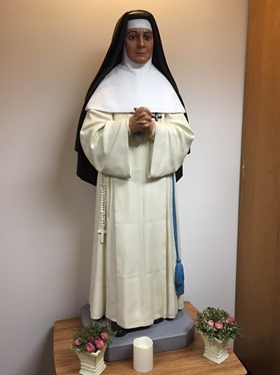 It seemed very fitting that the following day we would be marking World Day for Consecrated Life, which will be celebrated in parishes this weekend. 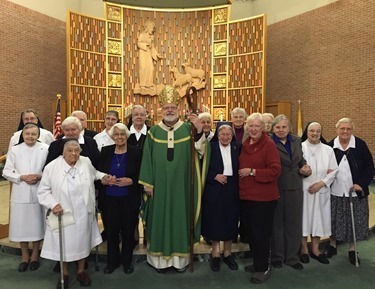 Particularly in this Year of Consecrated Life, it was an occasion to remember and honor all the religious women and men who have given so much to the Church. These recent days have been very sad and unusual in that we have seen six priests pass away: Father David Bartley, Father William Campbell, Father José Ferreira, Father James Lanergan, Father John Gentleman and Msgr. Richard Mehm. For Father Gentleman, I was able to be at the hospital to say prayers over the body with his family. I was also able to see Msgr. 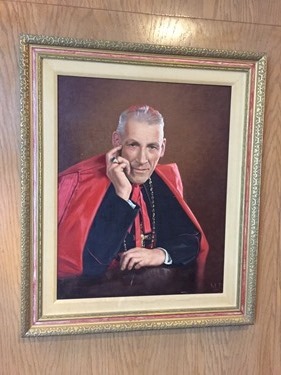 Mehm just before he died and tell him the good news that the Holy Father had named him a monsignor. And on Tuesday I was able to celebrate Msgr. Mehm’s funeral. Wednesday, I had a number of meetings in the morning before departing to Rome where we have begun our meetings of the Commission for the Protection of Minors. This is the first meeting of the full commission and we have much we want to accomplish. Tomorrow we have a press briefing to update everyone on our progress.